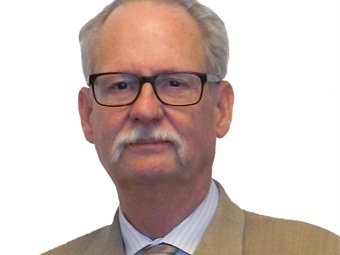 Barry Lemke will design control, power and communications systems for rail and transit projects as a new senior principal technical specialist in the Orange, Calif. office of global engineering and professional services organization, WSP | Parsons Brinckerhoff. Lemke has more than 35 years of rail industry experience. Prior to rejoining WSP | Parsons Brinckerhoff, he was a senior signal designer with a national engineering firm responsible for designing systems for light rail operations in Seattle and the North County Transit District in Oceanside, Calif. From 1995 to 2008 he was a senior supervising engineer in the Salt Lake, Chicago and San Francisco office of WSP | Parsons Brinckerhoff, working on a number of projects for agencies such as the Utah Transit Authority, Bi-State Development Corp. and Caltrain. Lemke is a member of the American Railway Engineering and Maintenance-of-Way Association. WSP | Parsons Brinckerhoff has four offices with 400 staff in Southern California. The firm’s current and recent projects in the region include the Expo Line 2, Regional Connector, Westside Subway Extension and I-10/I-110 ExpressLanes in Los Angeles; the Anaheim Regional Transportation Intermodal Center; the San Bernardino Transit Center, and the Mid-Coast Trolley in San Diego.